Inside: A fun and handy printable spelling word game to use with any spelling word list. As regular visitors to Childhood 101 will be aware, I am on a constant mission to make learning fun and engaging for kids. Fortunately fun doesn’t have to be difficult. You can use simple materials that are readily available to engage children with all sorts of learning tasks – and today we’re talking spelling. This fun spelling word game is great for revising spelling list words and can be used with any word list. Playing is simple. Students start by writing a list of their spelling words. For children who work best with actual physical materials, they can use an actual set of Scrabble letters to make each of the words. The score of each word can then be calculated by adding together the sum of each of the numbers on the Scrabble tiles within the word and recorded on the printable Scrabble Spelling Sheet (download instructions can be found at the bottom of this post). 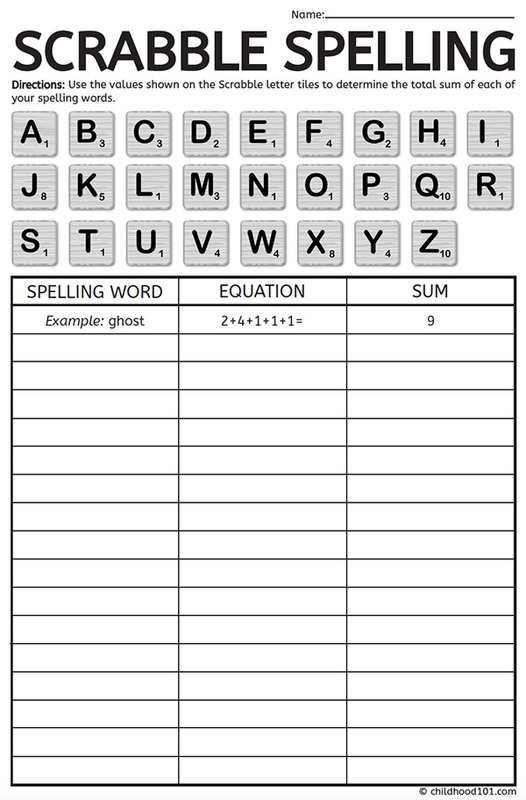 Alternatively, students can use the Scrabble tile pictures on the worksheet to calculate their word scores. As an extension, have students identify which word on their list is worth the most? And which is worth the least? Then they can re-write their words on the back of their worksheet in order from that of least value to that worth the most. 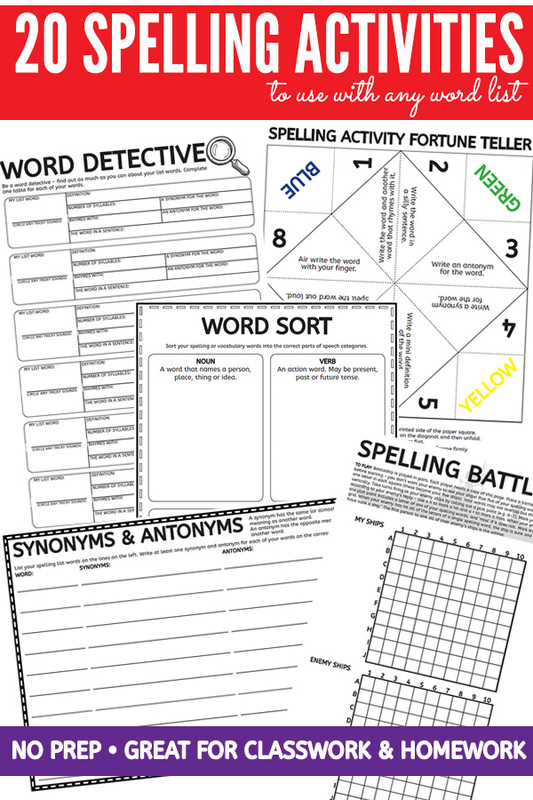 If you find this spelling word game handy, you may also like our spelling activities worksheet pack. Click here to download: Scrabble Spelling. Save the PDF document to your computer. When printing, select “Fit to printable area” (or similar) to ensure the page fits with your printer type and local paper size (these have been created at A4 size). Please note: All Childhood 101 printables are for personal use only, you may not use any part of this content for commercial purposes-that includes selling the document, giving it away to promote your business or website, or printing the file to sell. You may not share, loan or redistribute these documents. Wow! Thank you. That's a great give away. I really appreciate it. And you didn't even require an email to download it. It's such an awesome idea too. Games like this are brilliant because the kids don't realise they're learning how to spell - they just think they're having a great time. Thanks for a great article and share!